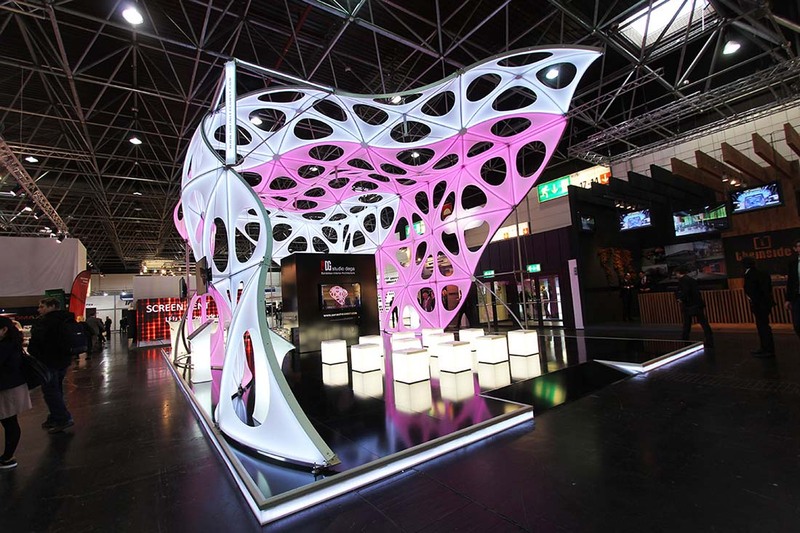 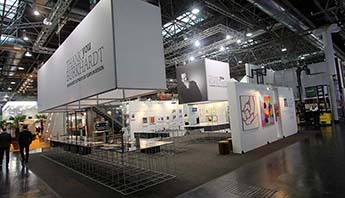 Held once every three years, EUROSHOP is the world’s No. 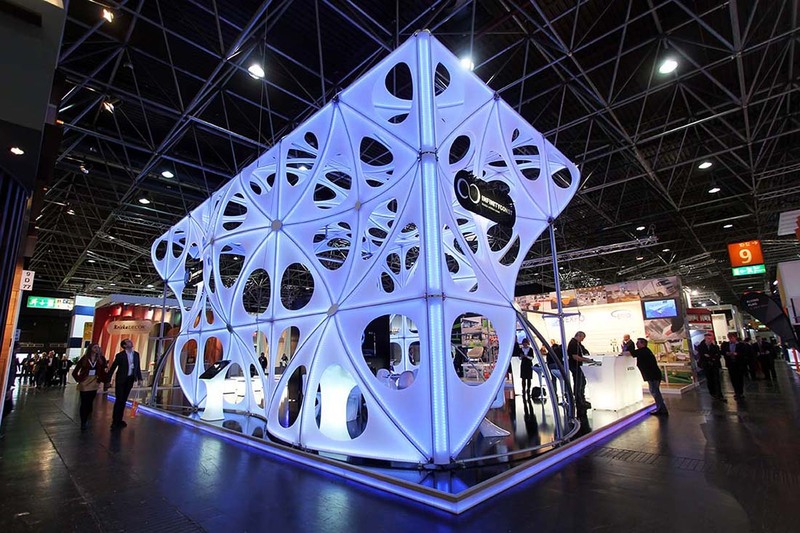 1 retail trade fair, featuring world premières of great innovations in the field of exhibition stand construction systems. 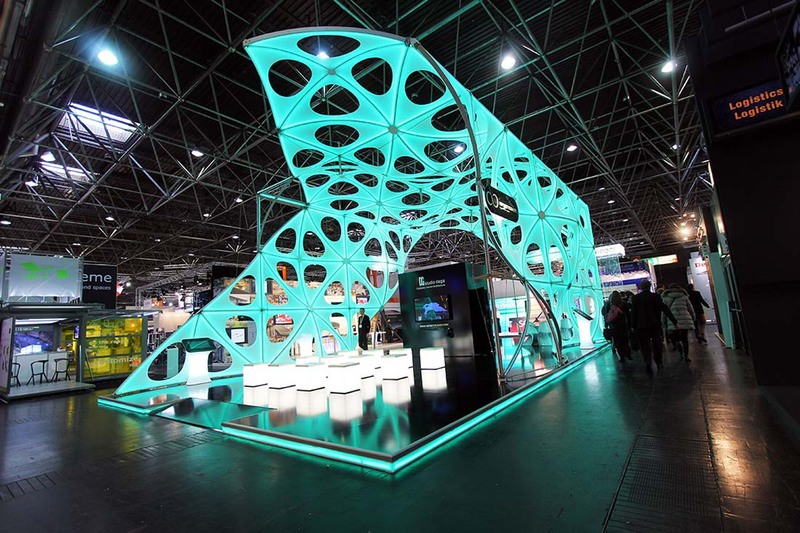 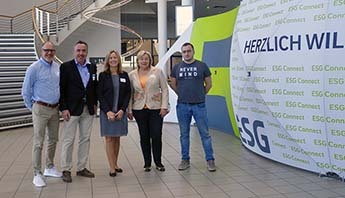 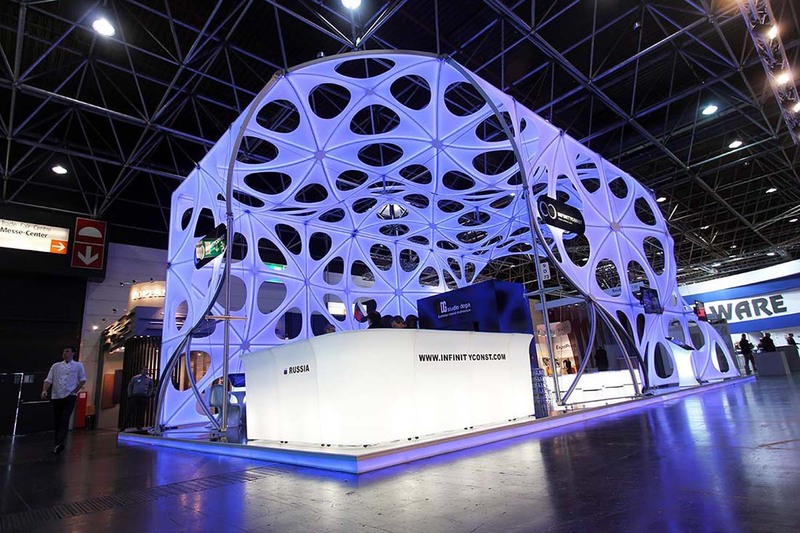 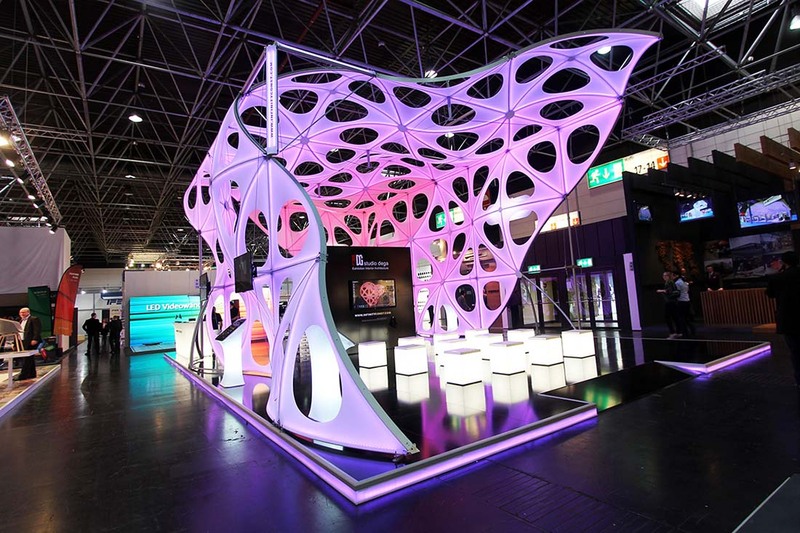 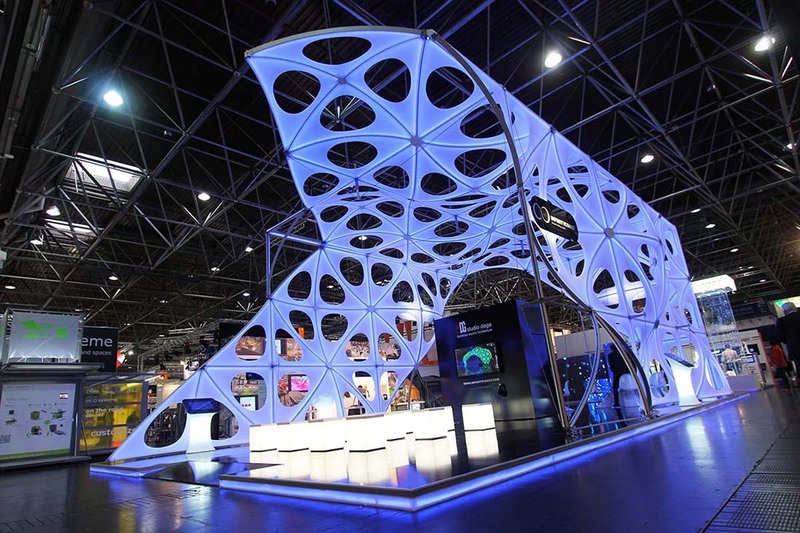 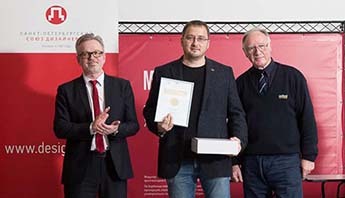 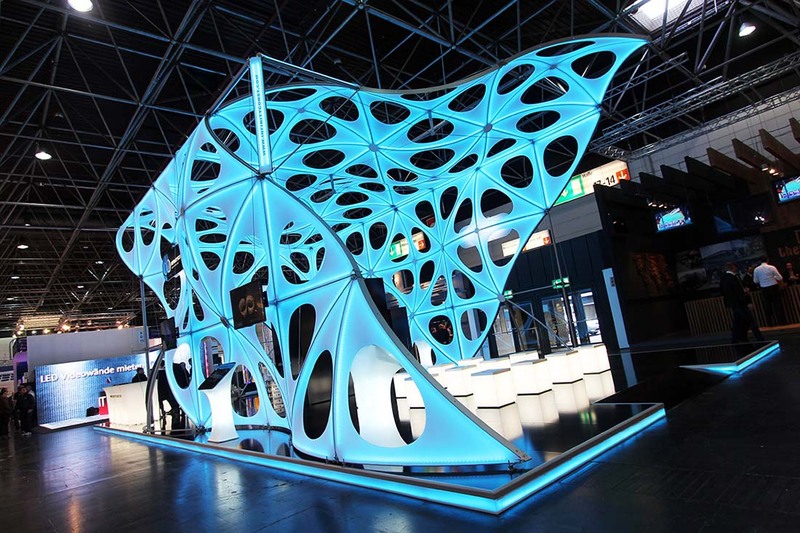 The 2014 edition took place from 16 – 20 February in Düsseldorf, Germany, and presented many companies with the perfect platform to show off their new products. 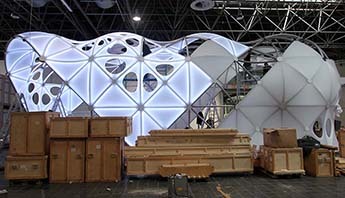 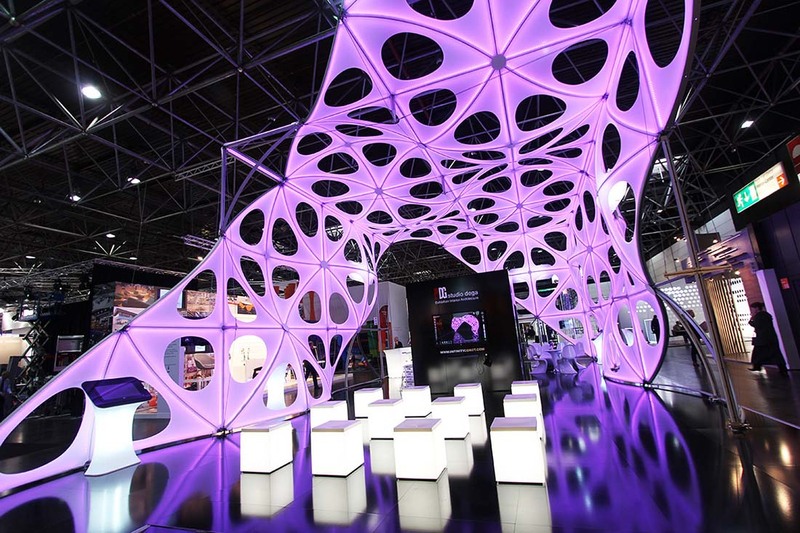 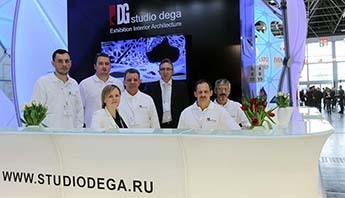 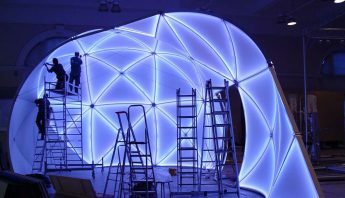 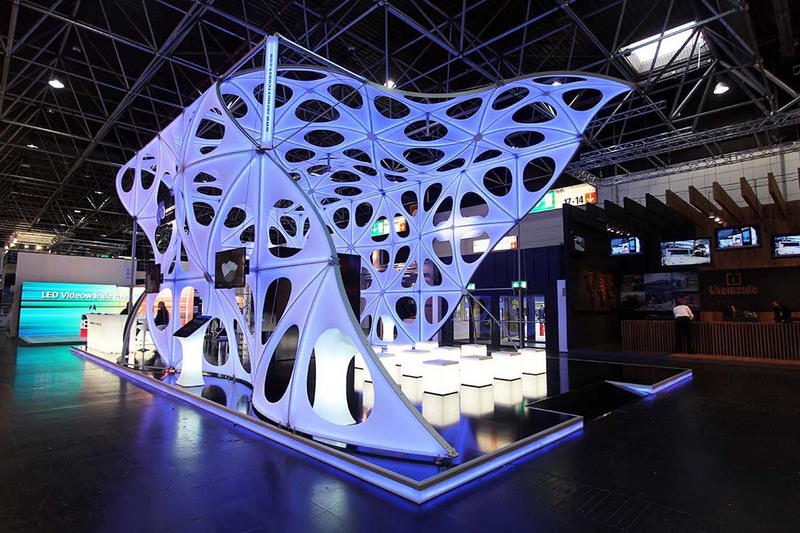 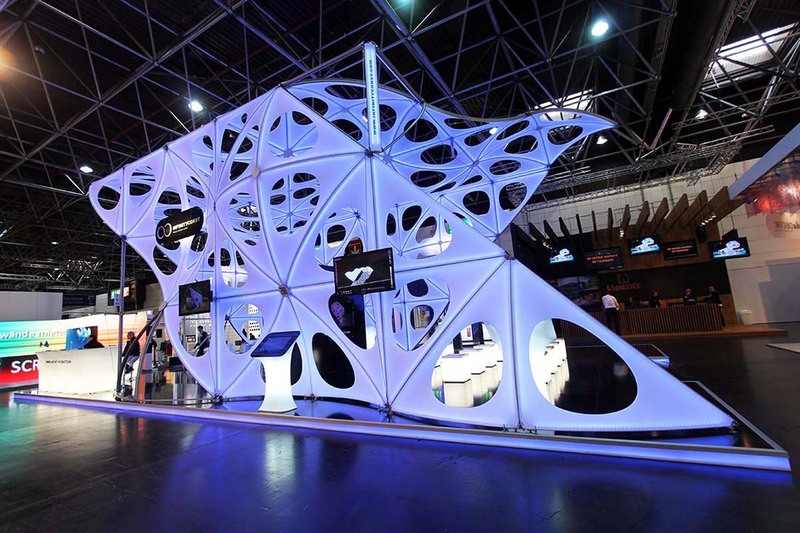 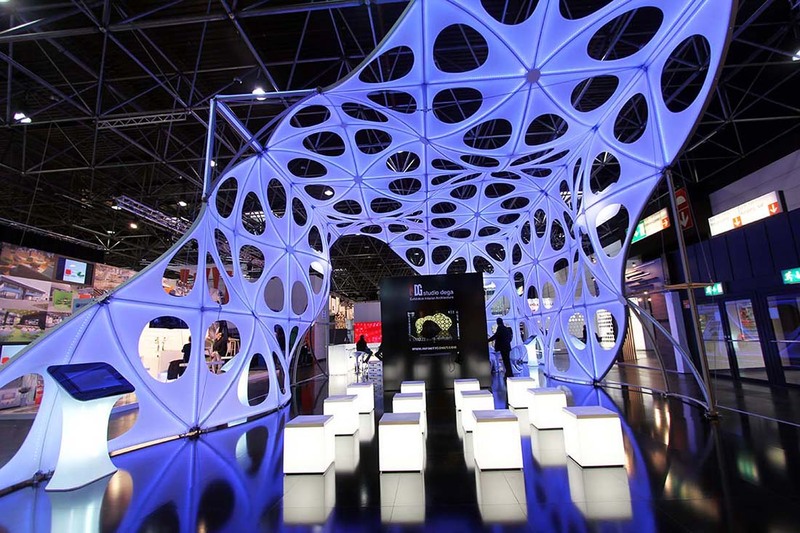 Exhibiting at the fair for the second time, STUDIO DEGA upheld this tradition admirably by launching its 3D Creative System software and premièring new elements for its INFINITYCONST system, which had debuted to great acclaim in 2011. 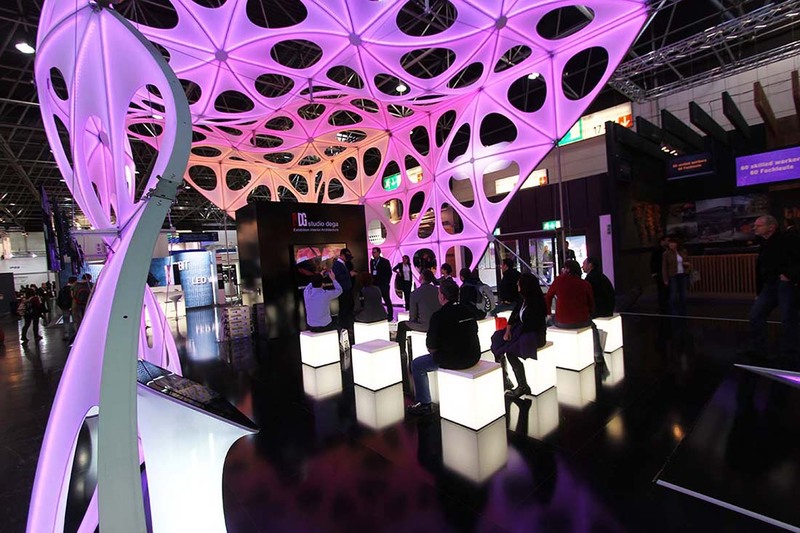 Visitors to the event were particularly intrigued by the demonstration capabilities offered by the INFINITYCONST modular exhibition stand system, and used the Oculus Rift VR software to explore the range of biomorphic configurations available thanks to its flexible design.